The Sports Archives – Paragliding- At least Once In A Lifetime! Millions of people, mostly kids would have a part of their life emerged in the fantasy world of Peter Pan, Harry Potter, magics, and miracles. 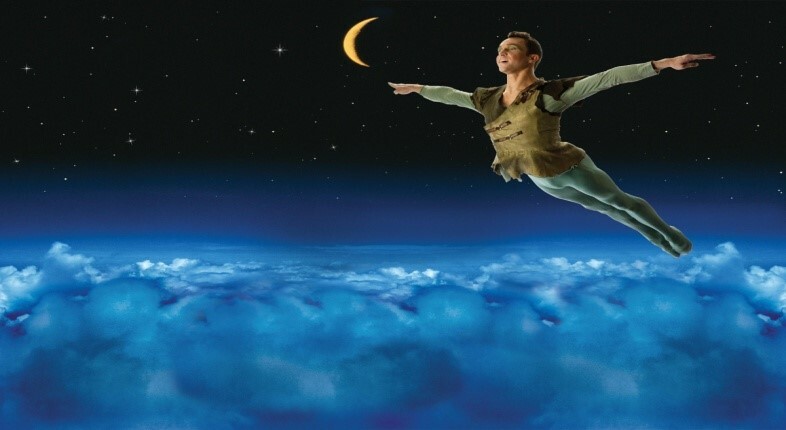 Trying to fly among the sparkling stars painted on the canvas of the night, just like peter pan did in the story. I still have that urge of flying in the blue sky with that broom of Harry Potter. However, I don’t have any idea, how J. M. Barrie and J.K. Rowling made their book characters fly that high. Alas! We don’t have those magic chants and potions. Still, we can fly high with the artificial wings called as paramotors. 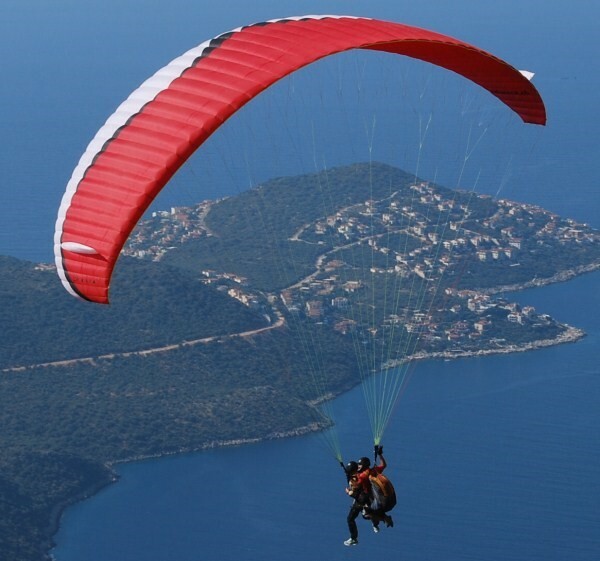 Paragliding is an adventure that you should do at least once in your life. It’s awesome to feel the air under your feet! You are going to glide like birds in the sky, gathering some of the most amazing views of your dear planet, Earth. The thrill, and the rush of adrenaline inside the veins, every bit of it is exciting. All you need is a proper training before heading towards this lifetime experience. Since my first date with the fierce wind, Paragliding has been one of my favourite sports. It is exciting, challenging, funny, and most importantly, you feel free out there. All you need is paramotor training and proper equipment to start with Paragliding. If you are doing for a short time fun then you can rely on the Pilot. However, for achieving the perfection, you need to be serious. Start your training today with the best instructor and learn to play with the gliders in all the atmospheric conditions. There is nothing like danger and fear in Paragliding. All these rumors come from people who have not experienced the fun of this sport. Thrill can’t be considered as a danger. You are safely tied with at least 30 strings that is connected to the wing, and believe me, they are strong enough to carry your weight. It is not like driving on the road or a train driving. Paraglider pilot possesses an extraordinary amount of control. They are trained to have a subtle control on the speed and the direction. The only thing that can come in between their experience and expertise is the heights and weather condition. So, you just have to enjoy your sport, leave the rest to the pilot. The First Flight – Go Courageously! Reached the destination from where you need to glide? For the first timers the hill slope is a little low as a comparison to experts. You need to take nursery steps at your inflation phase, the wings will start filling with air. Within a few minute pressure will swiftly roll over you with a feeling of excitements and hormones rushing inside your skin. Yes I have made it! Paragliding can be considered among some of the biggest addictions. Once you are in it, the urge of flying increases day by day. If you are fascinated by flying then do not stop yourself, go for it. You can get a proper paramotor training from experts. Once you are trained, there is no boundary of time and weather. 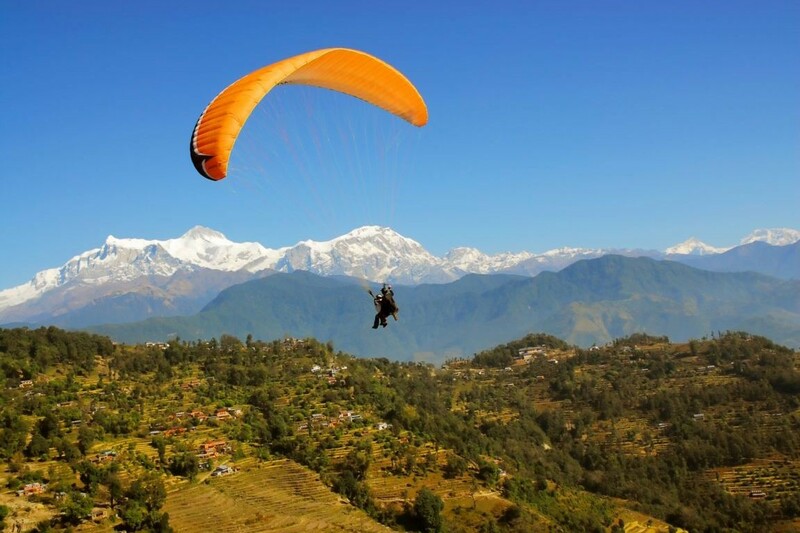 Usually a normal Paragliding takes 25-30 minutes, depending on the weather condition, but there is no such boundary if you are a trained pilot. You can have the amazing view of the whole city through Paragliding. 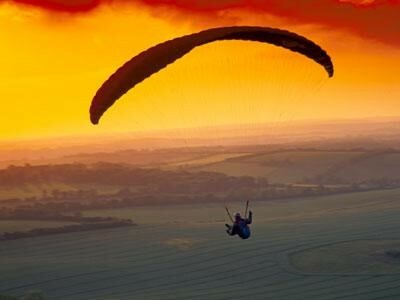 The maximum record of Paragliding has been 502.9 km, reach out to break it. I personally feel that Paragliding is comfortable as well as exciting. Unlike Parachuting and rappelling, its gears are more comfortable and you don’t need to hang yourself amidst uncountable strings. The modern harness is a lot cozier, you just need to make yourself comfortable in it. So, what else do you need? It is comfortable, safe and above all it is giving you a chance to live your fantasies. So, take an aerial view of your beautiful city with Paragliding. Lisa Coffey (°1988, United States) is a Freelance Content Writer, who writes in many fields. With a conceptual approach, Coffey tries to approach a wide scale of subjects in a multi-layered way, likes to involve the viewer in a way that is sometimes physical and believes in the idea of function following form in a work. This entry was posted in Other and tagged Adventure Sports, Extreme Sports, paragliding, paragliding archives, paragliding blogs, paragliding pilots, paragliding tips, paragliding training, paramotors, sports and adventure, sports and leisure, Sports Archives, Sports Blogs. Bookmark the permalink.